When you've got a 42-degree Sunday in Savannah, you don't want to be cooped up in the house with the kids watching TV and playing video games all day. So we found a good diversion: Repticon. It's probably cheaper than a movie, somewhat educational, and entertaining - if you can brush off your annoyance when your son asks for your phone to take pictures of every snake in the place. 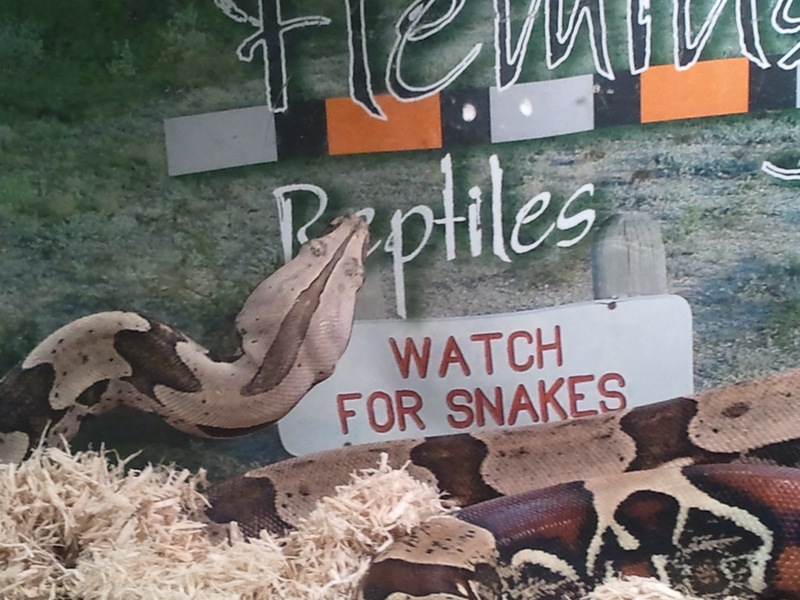 Repticon bills itself as a "Reptile and Exotic Pet Show." In addition to the countless snakes, there were turtles, geckos, bullfrogs, and alligators, just to name a few. It was a mini-zoo in a hotel conference center. 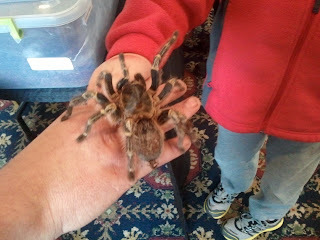 And where else can your kids hold a tarantula? And while these creepy, crawly creatures aren't things you want to see working their way across your living room floor, they are pretty cool when in their cages, handled by professionals. And this is also a retail market for collectors. There was a pricetag on almost every one of these guys (or androgynous things) except for those "headliners" that were featured. It just so happens I'm in the market for a Komodo dragon, but couldn't find one.